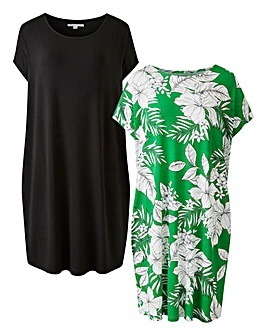 Keep it cool and casual in a T-shirt dress this season. Paired with trainers and a leather jacket, this everyday dress is perfect for laid back weekends. Style a slogan t-shirt dress with ankle boots and a denim jacket for an easy daytime look, or wear an oversized t-shirt dress with trainers for easy, everyday style.